Let’s start by importing some data. We need the durations that individuals are observed for, and whether they “died” or not. T is an array of durations, E is a either boolean or binary array representing whether the “death” was observed or not (alternatively an individual can be censored). lifelines assumes all “deaths” are observed unless otherwise specified. 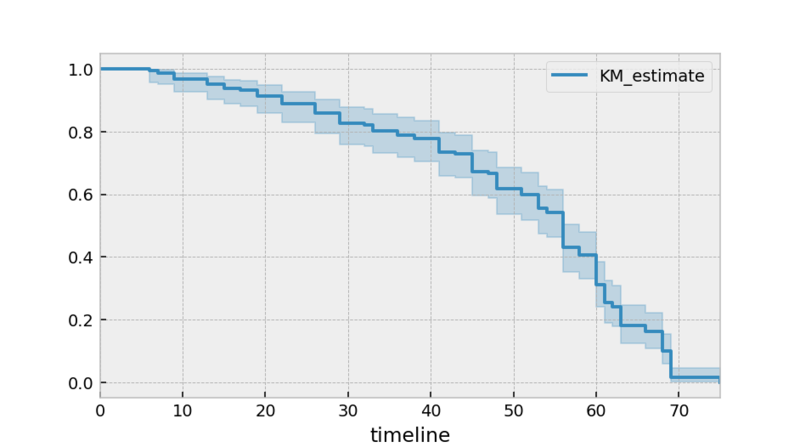 After calling the fit method, we have access to new properties like survival_function_ and methods like plot(). The latter is a wrapper around Panda’s internal plotting library. Instead of the Kaplan-Meier estimator, you may be interested in a parametric model. lifelines has builtin parametric models. For example, Weibull, Log-Normal, Log-Logistic, and more. but instead of a survival_function_ being exposed, a cumulative_hazard_ is. 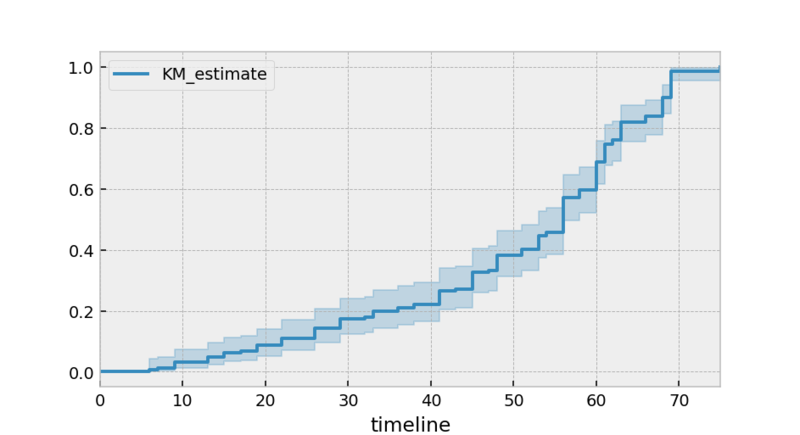 Similar to Scikit-Learn, all statistically estimated quantities append an underscore to the property name. 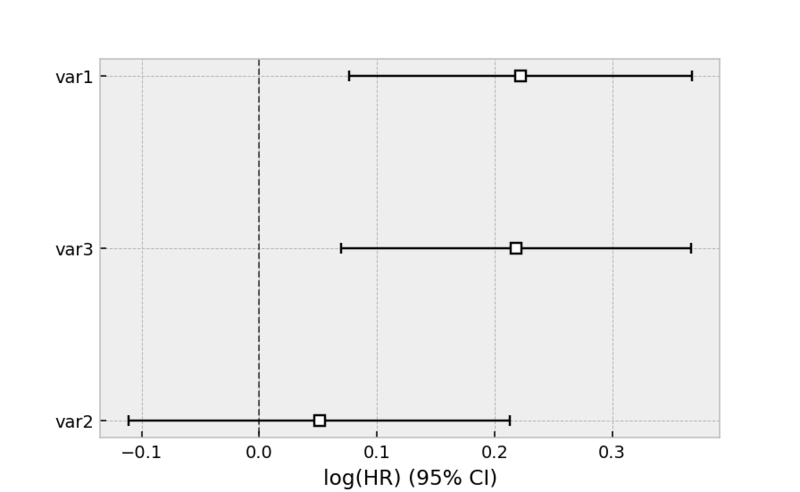 More detailed docs about estimating the survival function and cumulative hazard are available in Survival analysis with lifelines. lifelines has some utility functions to transform this dataset into duration and censoring vectors. The most common one is datetimes_to_durations. The docs for it are here. Perhaps you are interested in viewing the survival table given some durations and censoring vectors. The docs for it are here. While the above KaplanMeierFitter and NelsonAalenFitter are useful, they only give us an “average” view of the population. Often we have specific data at the individual level, either continuous or categorical, that we would like to use. For this, we turn to survival regression, specifically AalenAdditiveFitter, WeibullAFTFitter, and CoxPHFitter. 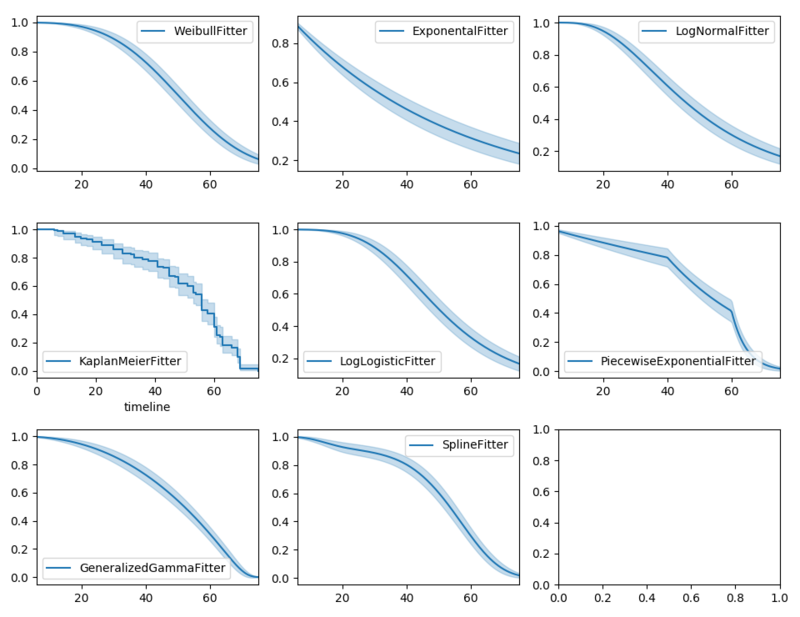 The input of the fit method’s API in a regression is different. All the data, including durations, censored indicators and covariates must be contained in a Pandas DataFrame (yes, it must be a DataFrame). The duration column and event occurred column must be specified in the call to fit. 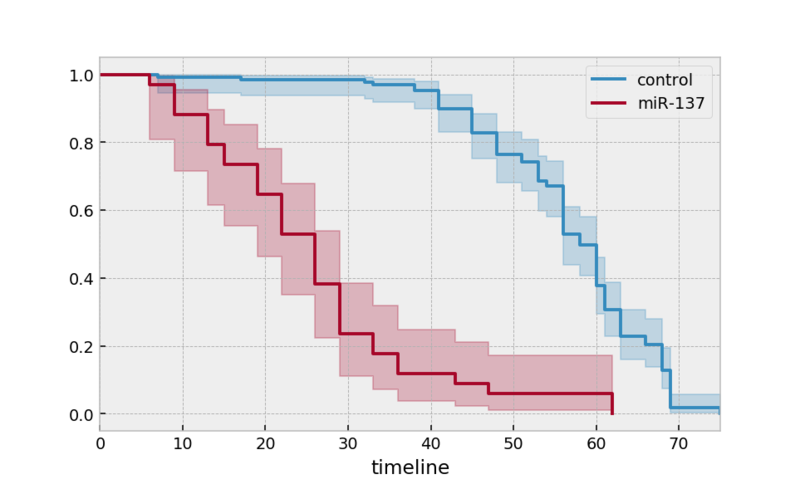 Below we model our regression dataset using the Cox proportional hazard model, full docs here. 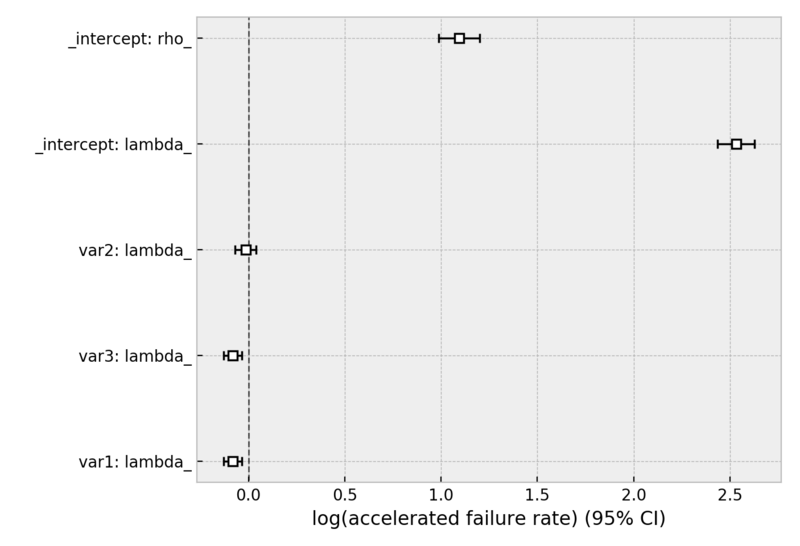 The same dataset, but with a Weibull Accelerated Failure Time model. This model was two parameters (see docs here), and we can choose to model both using our covariates or just one. Below we model just the scale parameter, lambda_. More detailed documentation and tutorials are available in Survival Regression.